This year, fellow blogger and friend, Paul Dalbey drove down Thursday night from Champaign, Illinois and we drove to Cullman, Alabama—about an hour North of Birmingham. We wanted to get an early start and we knew we would have to arrive early to get a seat in the Media Center. George found one immediately and Paul followed soon after. I don’t know if it is my lack of aggressiveness or I don’t know the right people, but I found myself without a seat. When you arrive at races intending to write and prepare photographs for posting, it difficult to do without a seat. We have been to every one of the Honda Indy Grand Prix, so this is our tenth race and we have always found a place to sit. I am thankful that our sport is growing so much to have more people who want to cover it so I’m honestly not complaining. This was also the case at the St. Petersburg race. I was shuffled around as seats became empty. It’s sort of like musical chairs where you end up without a seat, but still have to walk around the chairs. The staff here at Barber Motorsports Park is so very hospitable, but you cannot always predict who is going to want a seat in the Media Center. Also this year, I’m walking around with Paul and George who are way taller than me and sometimes I have trouble keeping up. Add in the fact that I don’t know much about the liveries, the changes in the cars, and who won the 1936 Indianapolis 500 and I feel like I am the odd-man out at times. I’m glad Paul got to drive down with us and George and Paul have a great friendship that began around a race track. We always have fun together, but I’m not always used to sharing George. I didn’t write those two paragraphs for you to feel sorry for me. I know many of you would be thrilled to have the access we do to the Media Center and the drivers. I am grateful every day, but I write more of the “color” articles as it were, and not the hard-hitting news stories. To boil it down to something I am not proud of, I was feeling sorry for myself. And for the first time at a race track, I simply wanted to go home (I know, don’t I sound bratty?). In a nutshell, the day had not begun well for me. As some of you may know, I am doing my own brand of trivia next month and I have asked a few questions of the drivers, their wives, and their PR people in order to get some of the questions. The Mrs. Oilpressure Trivia is going to be hard in a different way. When I ask my questions of the drivers, etc. they often look at me in puzzlement. I’m sure they are used to hearing “How will the setup of your car affect your race if it starts to rain?” which is not my brand of question, which is just a little different. Enter Chloë Chilton. I was walking down the pits and I saw her standing off by herself and I thought I would approach her and ask her a question about Max. If you have ever seen Chloë, she is a tall and stunningly beautiful. 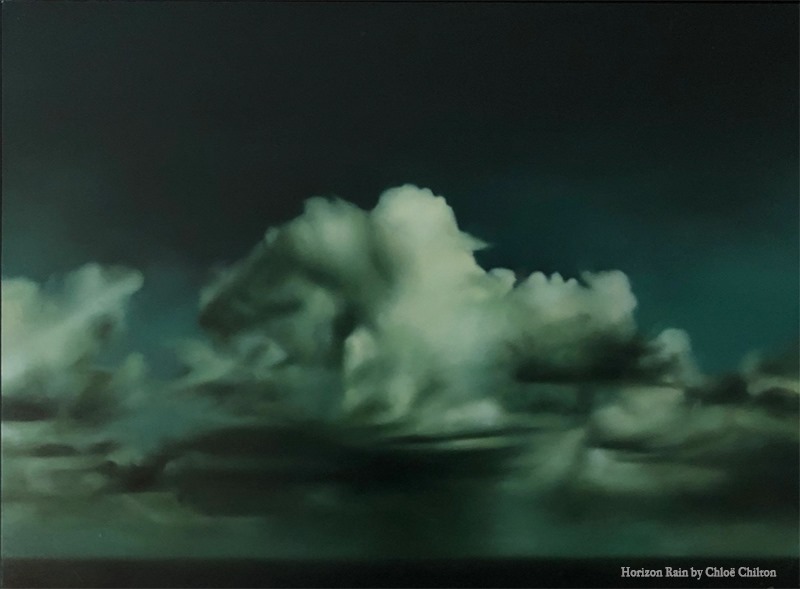 And honestly, I am a bit in awe of her because she’s also a painter and paints these gorgeously realistic cloudscapes. As an artist-type who used to paint, I know how incredibly hard it is to capture the light and structure of clouds, and she does it to perfection. To see more of her artwork, click here. I walked up to her and was immediately put at ease. I was expecting that “who is this strange person asking me non race-related questions about my husband?” I’m sure they get a lot of crazy people and fans—just like any celebrity. What I got instead was the most engaging, friendly response—I was pleasantly surprised—I had a few brush-offs that day “Ask my PR person and the like,” so I was not expecting much. What I got was a charming woman who readily answered my questions and we talked about weddings and cars and all sorts of things. Sometimes we put our racing celebrities up on pedestals and forget that they are regular people who are doing their job and supporting their significant others. To be honest, Chloë Chilton changed my day. It had been a terrible, awful day for me. I know many of you are saying, how can you have a terrible awful day at a race? Trust me, it can happen. I’m not going to mention any of the other gracious drivers and their wives who have provided me with trivia questions–because that would give away the answers. And I am grateful to every single one of them. But yesterday Chloë Chilton made me a fan. 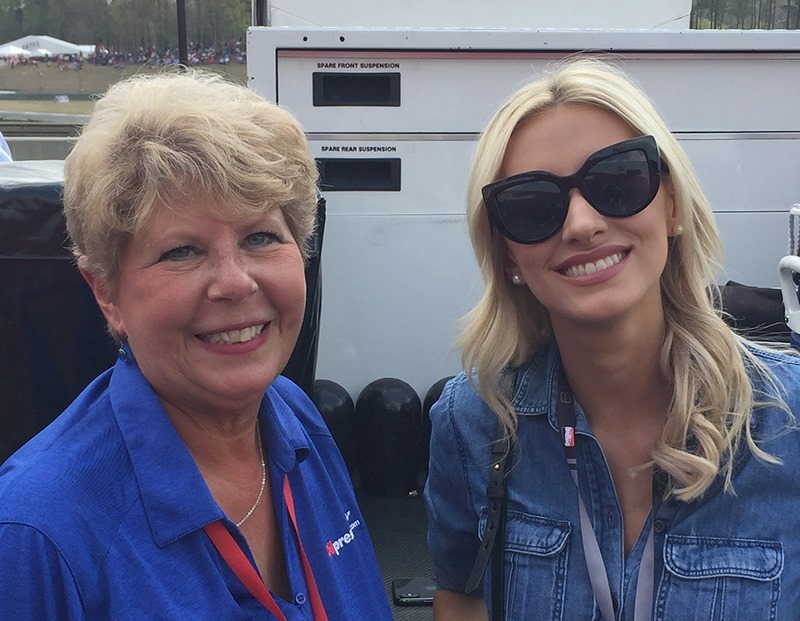 Not because of her husband’s track performance, but because she reminded me that racing is a family and what makes IndyCar racing great is the accessibility of the drivers and their readiness to have a selfie made with their fans and sign autographs. That’s one of the reasons we love this sport. I go to races for the people aspect of them—I love to watch people and their interactions. So thank you Chloë, for reminding me of why I love this sport and turning this race weekend around for me. I’m now a fan. This entry was posted on April 6, 2019 at 11:45 am and is filed under IndyCar. You can follow any responses to this entry through the RSS 2.0 feed. You can leave a response, or trackback from your own site. What a great story! Thanks Susan and Chloe! Thanks for the great post, Susan, and for sharing the fantastic artwork of Chloe Chilton! I appreciate your perspective at the track and the people who attend these races. Keep up the good work! I’m sorry you were having a bad day, I really wish I was hanging out with you this year, as in previous years. Chloe Chilton’s artwork is amazing, I’m sure you enjoyed talking to her. 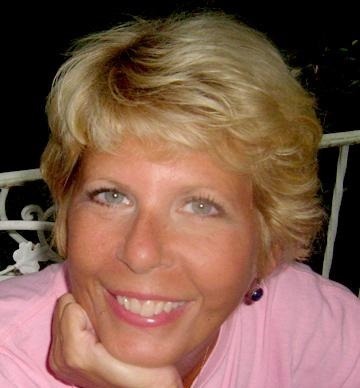 Thank you for a wonderful story Susan! Glad your weekend took a turn for the better.